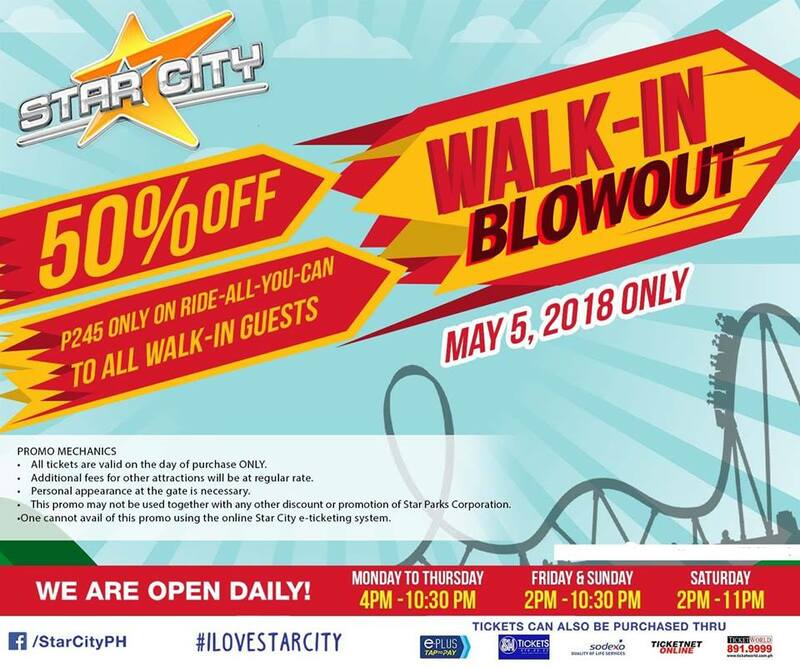 Check out Star City's 50% off Promo for Walk-in guests. 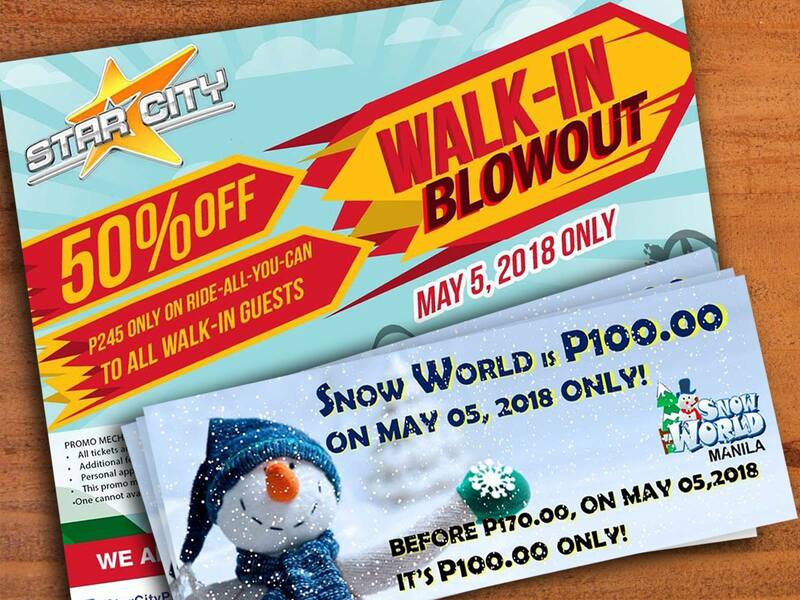 On May 5, 2018, enjoy 50% off on Ride-All-You-Can tickets (only P245), and only P100 for Snow World tickets. This promo is only available for walk-in guests only.